Have you veer played at several different online casinos and noticed that things all kinda look the same? Well the fact is that they could be, as the software that many of these sites use has been licensed out to hundreds of other casinos. This doesn’t just apply to slot machines and table games either, but also to sports books, poker rooms and much more. These games can be found in online casinos everywhere. They are purchased by the casino companies themselves who then use the software on their site, effectively leaving the games to those who know how to make them whilst concentrating on the financial aspect. There are a few companies around and these have a monopoly on the industry, although there are bigger sites that use their own software, giving them greater control. Betsoft: Although far from the biggest and the most popular developers of online gaming software, Betsoft produce some of the best blackjack software that is available to play online. 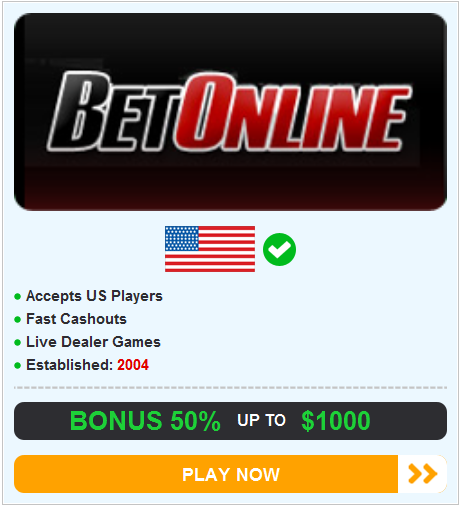 Betsoft is used by some of the biggest sites out there. Betsoft blackjack games include European Blackjack, American Blackjack and Super 7 Blackjack. These are the most popular three. American Blackjack is usually the most popular game of blackjack worldwide, certainly in land-based casinos, but due to the dominance of the European market, with gambling being legal in many countries in Europe, European Blackjack tends to be their most famous game. This is very similar to American Blackjack, but with a few minor tweaks, such as the fact that the dealer can not peek, splits are only allowed on certain hands and the house edge is generally higher. The Super 7 game is also very fun and offers a cool side bet that costs just $1 to play. Betsoft also have a single deck game of blackjack available, although card counting is not possible here as the cards used are shuffled back into the deck afterwards. Still, this game does have a lower house edge than many other blackjack variants that you will find. There is also a game called Pirate 21 and a game called Pontoon, which tends to be how blackjack is played in UK casinos. Playtech: Playtech are one of the biggest games in the industry and were founded back in 1999. This software is used by a large number of the casinos that allow US customers, and is also a popular choice with larger sports books and casinos. Playtech create poker software, sports book software and more, and they also have a list of live games. In their casino software there are over 500 games to choose from, including several variants of blackjack, from Classic to European. This is the software you are most likely to have come across. The main game here uses 6 decks and the dealer stands on soft 17. Players can double and split and no surrender is allowed. There is also a single deck game of blackjack available, but as with the Betsoft single deck game the deck is shuffled after each hand so card counting is not possible. If you’re a fan of the surrender rule then check out Blackjack Surrender, which has a house edge of 0.39%, or Blackjack Switch, which has one of the lowest house edges of all games. Playtech is used in one way or another by some of our most recommended websites, including Paddy Power and William Hill. Realtime Gaming: Also established in 1999, Realtime Gaming is often considered to be the second biggest operator, behind Playtech, and has a huge range of table games, slot machines and more on offer. Games of Blackjack here use between two and four decks, the dealer hits on soft 17 and doubles ad splits are allowed. Late surrender is also allowed, although this can be added or taken away by the company that use the software, so this might not be available on the site where you play. Realtime Gaming has many unique versions of blackjack, including Match Play 21, which is basically another name for Spanish 21, Face Up 21, which is another name for Double Exposure, and Caribbean 21, which offers one of the lowest house edges of any game of blackjack anywhere online. There is also a game of Pontoon available, a game of Super 21, which uses 8 decks and offers an abundance of fun little side bets and extras, and more. If blackjack is not your thing then Realtime Gaming has one of the best selections of poker games and other card games, such as Let ‘em Ride, Video Poker, Pai Gow, Warm Tri-Card Poker, Vegas Three Card Rummy, Red Dog and Caribbean Poker. Sites that use Realtime Gaming range from top websites to ones that have gained a less than reputable reputation over the years. In fact, Realtime Gaming is often the software of choice for unscrupulous casino providers, but this is through no fault of the developers and may attest to the accessibility and popularity of the software, and the fact that there are many games available.